Can-Am has a strong presence in the market of UTVs for a variety of purposes, be it work tasks, hunting or racing. Can-Am Defender, Commander and Maverick are popular among enthusiasts of all ages and occupations. We are proud to serve the varied needs of riders who value reliability, efficiency and power with our selection of Can-Am side-by-side accessories. 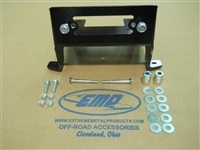 Whether you need a windshield, winch mount or front bumper, we have the right products to improve your vehicle. These quality Can-Am aftermarket accessories were selected from the best suppliers and manufactured by WhoMoto to ensure that your UTV stays damage-free and you stay safe no matter how rough the terrain and weather conditions on your trail. We are ready to fulfill custom inquires and orders, so get in touch with us if you can't find specific Can-Am accessories in our catalog or would like to order a custom-built product! Constructed of heavy duty 1/4" Makrolon, this tinted top made by SuperATV comes with all hardware needed and is simple to install. This one piece Can-Am Defender roof is made of 1/8" diamond plate aluminum and powder coated matte black. It is extremely durable, fully trailerable, and won't rattle or squeak on the trail! 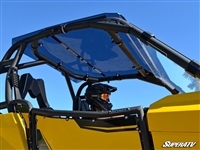 These lightweight aluminum half doors for the Can-Am Commander made by SuperATV come pre-assembled making installation painless.